These green machines pack a health punch. Chock-a-block with spinach, chickpeas and spices and perfect crammed into homemade flatbreads with some mango chutney and rocket. Spinach is full of antioxidants like flavonoids, carotenes and vitamin E. It is also rich in vitamin K, that vitamin we hear little about but is great for bone strength. Chickpeas are a great source of protein for vegetarians and are high fibre. 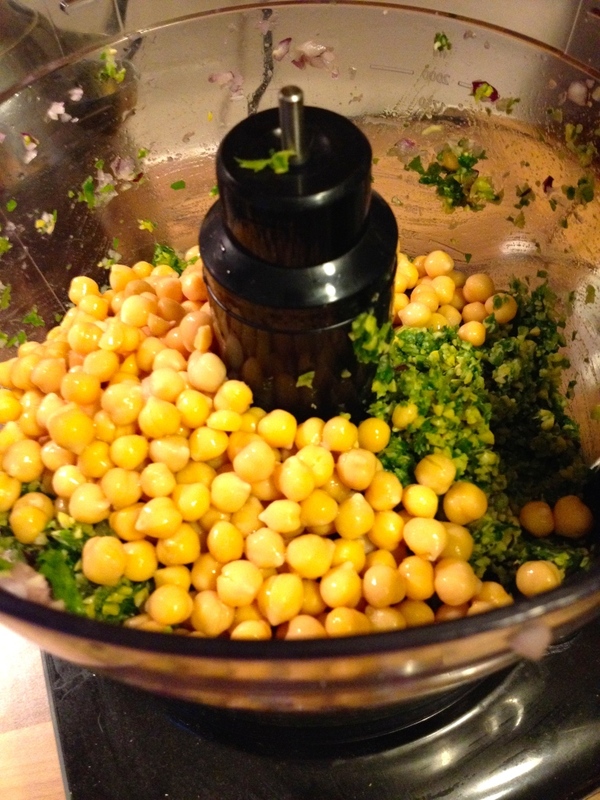 Find out a little more about chickpeas here. Toast the coriander, cumin and sesame seeds in a dry frying pan for a few minutes until the seeds start to pop and take on some colour. Keep an eye on them so they don’t burn then grind them with a mortar and pestle. 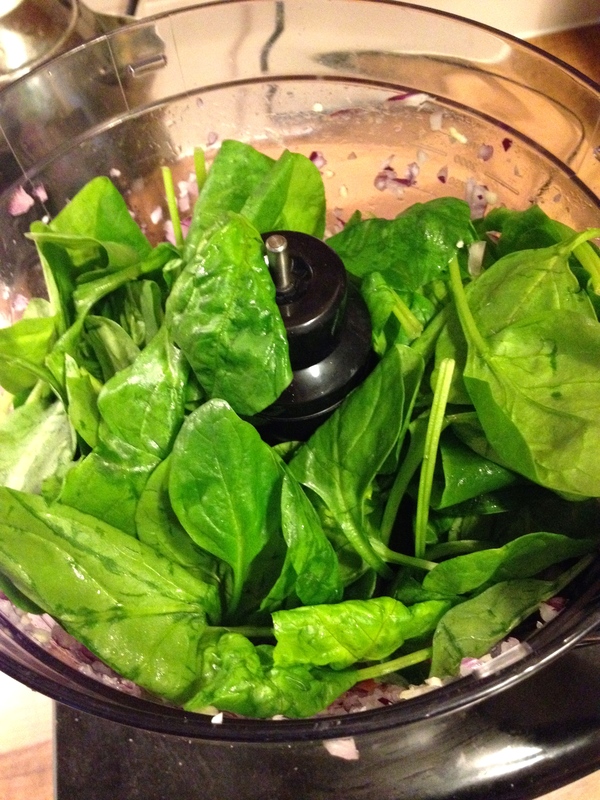 Pop the onion, garlic, chilli and spinach into a blender and blitz until combined. Add the chickpeas, mint and ground spices and pulse until everything is well blended and chopped but doesn’t turn into a paste. Add the lemon juice and stir everything together. Divide the mixture into balls with your hands and chill in the fridge for at least half an hour. 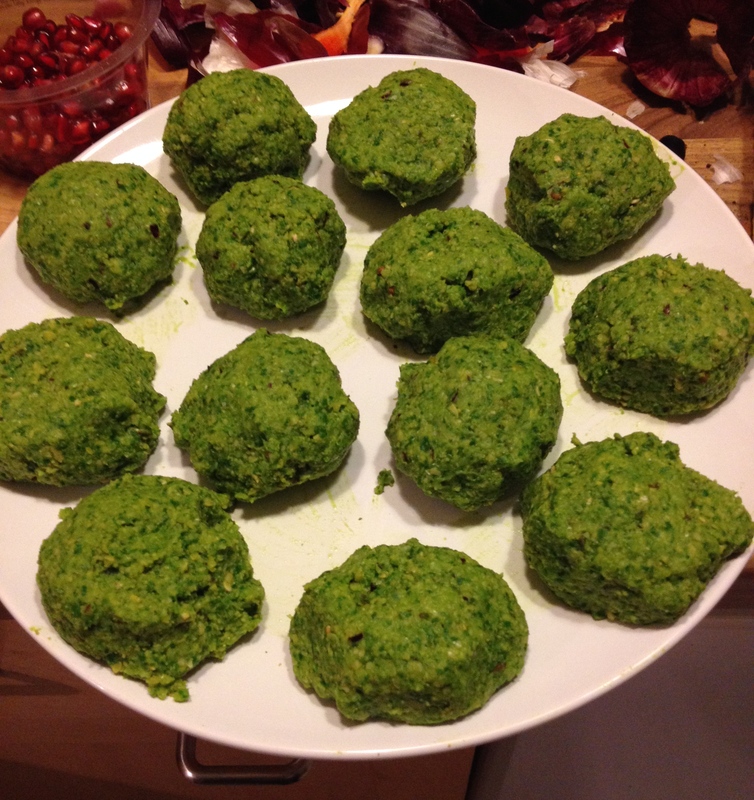 When you are ready to cook, set the oven to 180C and roast the falafel for 25-30 minutes. Falafel are usually fried but they come to no harm in the oven, which is a much healthier option. They make a great light evening meal or lunch, wrapped up with chutneys or as added protein in a salad. Posted in Recipes and tagged antioxidants, chickpeas, dinner, falafel, fibre, lunch, oven, roasted, spice, spinach.